I know games shouldn’t be the focus of our youth ministries, but there is nothing wrong with have some killer games every few weeks. I try to have a good game every few weeks to get our students laughing, running around, and having a good time before we dive into God’s Word. Many times I use crowd mixers which are games that get the students up out of their seats and interacting with each other (here are three mixers I love doing). Other times I like to do what I call upfront games. Usually these games consist of just a few students doing some type of crazy game upfront or on stage so the other students can just enjoy watching. 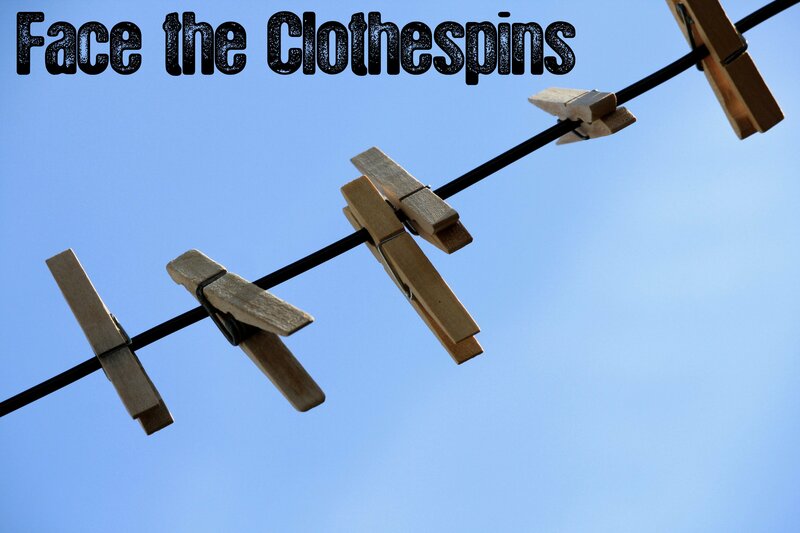 Today I want to share with you a game called “Face the Clothespins” that I have done a few times and is always a hit with students. I want to share with you the materials you will need as well as instructions on how to run then game and share with you the title slide and countdown that goes along with the game for FREE! Materials Needed: A few bags of clothespins. Instructions: Get a few (I suggest 3-5) teams of three to come up front and give each team a bag of clothespins. Tell one of them to volunteer to be the “face” of the team. Then explain the game to them like this: they have two minutes to see how many clothespins they can place on the face of the person who volunteered to be the “face.” Anywhere on the face is free game. Once the two minutes is up, count and see which team has the most clothespins on their persons face.